Your fund will need to cover a variety of ongoing costs, including administration, audits, directors, tax preparation, compliance, and outsourced trading desks. 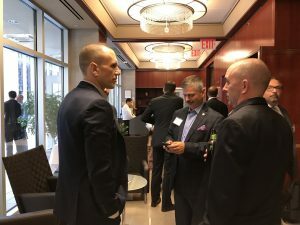 Eighty to ninety percent of the work that your service providers are doing for you is the same as what all the other service providers in that field will do. The differentiator is what they do for the other 10% to 20%. Most importantly, are they with you through good times and bad? 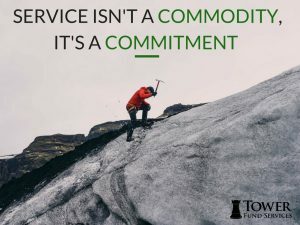 As much as prospective investors focus on getting to know you as an investor, you should take the time to get to know your service providers, especially the administrator, since they are the ones you will interact with all year long. Here is a brief overview of each service provider and their functions. “Well, one is fund administration and NAV Lite isn’t.” Net asset value (“NAV”) Lite can fall into two buckets for the most part. One is where the administrator reviews a NAV produced by the fund manager with a cursory check against the broker statement. The second, more common practice is for the administrator to take the ending value in the brokerage account and allocate that value to investors, with no other activity handled or reconciled by the administrator. Many times the administrator only delivers a schedule of investor accounts for the fund manager to deliver to investors. With true fund administration, however, the administrator is responsible for handling the back office operations of the hedge fund. This includes taking responsibility for all aspects of the NAV production and direct reporting to the investors. For hedge funds, this would encompass a review of investor subscription documents with cash inflows, plus redemption requests and payment to investors in accordance with the fund’s offering documents. The administrator captures all trade activity and reconciles this activity to the broker with independent valuation of the portfolio at the NAV reporting date. Additional responsibilities include payment of fund fees and expenses, anti-money-laundering monitoring, and audit coordination. When you compare the administrator’s responsibilities in the two approaches, you would expect there to be a material cost difference, and in most cases, there is. But there doesn’t have to be. There are quality third-party administrators that provide full fund administration at a reasonable cost, and the benefits will pay dividends to you and your investors. Shop around and make sure you are comparing similar services with the prices. For private equity and venture capital structured funds, the fund administrator is also responsible for sending out capital call notices to the investors (based on the investors’ respective ownership percentages needed to fund investments) and for transferring the money needed to complete portfolio company acquisitions. Fund of Fund structures require the administrator to monitor the liquidity of the underlying investee funds and make investments or withdrawals from the underlying funds according to investor needs. The administrator is also in close contact with the underlying fund managers and/or administrator to ensure timely receipt of the valuations of the accounts so the NAV can be completed. Audit firms are feeling the strain of increased work requirements mandated by regulators and increased fee pressures. This makes them prioritize their clients more now than ever before. Make sure the firm you pick has a client base that matches your firm. Being one of the smallest funds they have means you will be one of the last to get your audit and tax returns done. The role of the auditor is to come in and test transactions of the fund and review the disclosures in the footnotes of the financials to determine if they are fairly stated in accordance with Generally Accepted Accounting Principles (“GAAP”) in the US. Remember, these are your financials. The auditor may make recommendations on how things should be presented to be in compliance, but if you have everything that’s required, don’t allow the auditors to take over the financials and remake them in their image. My own years as an auditor and working with auditors have made me realize that no audit manager or partner can take a set of financials that has been reviewed by many people before them and not put pen to page to make a change. I think it’s a genetic mutation that occurs over many years. A wide range of firms specialize (or claim to specialize) in alternative investment fund audits. These range from the “Final 4” (my loving moniker for the largest remaining big accounting firms, since there were over a dozen when I started my career) to Bob Smith CPA doing the audit, and everything in between. Make sure your auditor knows investment funds, understands your strategy, and has experience in those areas. I’ve worked with larger firms that primarily handle mutual funds and try to do a “hedge fund” audit. Just because it is in a private fund structure doesn’t mean they know what they are doing with your investments. Private equity, real estate development, and real estate tax liens require an understanding of the deals and valuation issues. Unless a firm has worked with these types of investments before, they will quickly find themselves in an uphill battle trying to learn about them – with the learning being done on your dime. A very common question we get from managers who are starting out with either just their own money or their own plus some family members is: “Do I have to do an audit when it’s only my and my family’s money in the fund? Do I have to spend all that money?” Depending on your state securities rules, you may be able to get a waiver from your investors for an audit. Some states require it no matter what, or require either an audit or having you do a surprise custody exam with delivering custody statements directly to each investor on a quarterly basis. Check with the state and other advisors to see what your options are. Starting a hedge fund and need guidance on choosing hedge fund service providers? Contact us today at 732-704-7297.